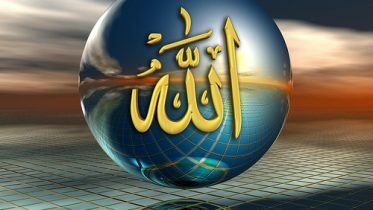 Ihsan is the striving for excellence [primarily spiritual but can include all aspects of life]. Sadly, mediocrity has become the norm and depravity is the new low in conduct. According to Abu Huraira, the Messenger of Allah (sallallahu ‘alayhi wa sallam) said: “I have only been sent (as a Messenger in order) to perfect noble character (of mankind).” Character has been replaced with personality. Many are motivated to search for a better way. With the marketing sophistry befitting the corporate world, plebeians are offering themselves up as spiritual guides. It is timely to raise the questions; is it necessary to have a spiritual guide and if so what are the necessary pre-requisites of a spiritual guide? What must the seeker know/do to ensure that a charlatan does not entrap them? 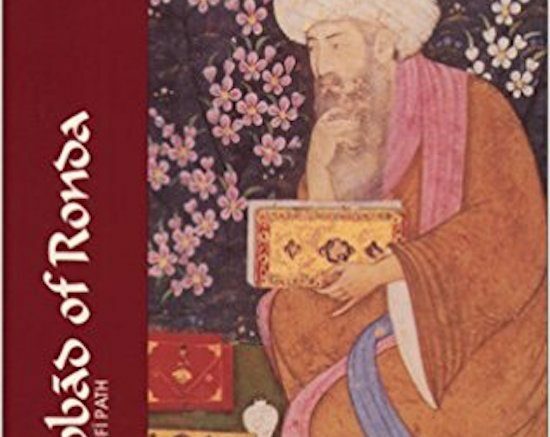 Ibn Abbad of Ronda addressed these and other related issues in the following letter that offers wise counsel which is still relevant today. In the Name of God, the Compassionate and Merciful. May God bless our Master, Muhammad, and his Family. From Muhammad[i] ibn ‘Abbad, may God be kind to him, to my brother Ibrahim ash-Shatibi[ii], may God Most High protect him and give generously to him in this life and the next. I wish you peace and the mercy and blessings of God. I received your letter and I understand what you are searching for. I have also read both of the letters you sent to my master Abu ‘l-‘Abbas al-Qabbab[iii], and have familiarized myself with their contents. I am unable to address myself to all of the topics they include. They treat such diverse, wide-ranging issues at such length that I am far from capable of responding to the letters in their entirety, either with accuracy or in a superficial manner. In fact I should be able to say scarcely anything at all on the subject even if it were to become more incumbent on me to do so than your worthy inquiry has made it. In the interest of conciseness and brevity I have decided to confine my remarks to my understanding of the role of the spiritual guide, and to as much as is clear to me concerning initiation on the Path. That is more likely to be generally applicable to those to whom God Most High grants a successful beginning in the spiritual life. If you find my proposal suitable, say so; if not, then tell me more about what you would like and kindly forgive the present abridgement. God Most High is the Master of Success for both of us, according to His good pleasure. It is my view that, in general, one can scarcely deny the necessity of a spiritual guide in following the Path of Sufism. This is surely one of the crucial issues in actual practice. These spiritual guides, to whom followers of the Path have recourse, fall into two categories: those who both instruct and educate, and those who instruct without educating[iv]. Not all wayfarers require a spiritual guide who educates. Those who are of banal mind and rebellious lower self do need such a guide, but those who have an open mind and a docile lower self do not require the restraints of the first type of guidance. However, everyone who walks the Path needs an instructing spiritual guide. [i] IAR 43 notes that IA insisted his name should be spelled Mahammad not Muhammad, according to common Maghribi practice. [iii] Abu ‘l-‘Abbas al-Qabbab (d. 1375) was a celebrated Moroccan jurist and the mentor of ash-Shatibi. He had spent some time in Sale with IA’s teacher, Ibn ‘Ashir. Ash-Shatibi had written to both al-Qabbab and IA in Fez. Al-Qabbab was of the opinion that the Sufis in his time were neglecting works they ought to read in favor of some sections of Ghazali’s Revival that he judged to be of questionable value for people in earlier stages of the Path (IAR 174, 1-li; see Introduction). Be the first to comment on "Does one require a spiritual guide?"